I love crafting with Duck Tape so whipped up this sweet little Duck Tape sewing case this morning. 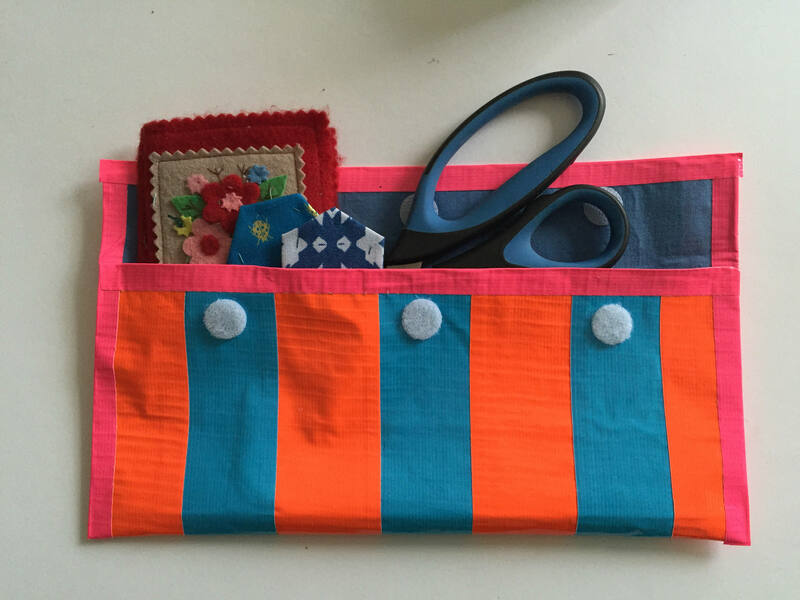 It’s the perfect size for scissors, a needle case, thread and hexies which is just what I need at the moment! 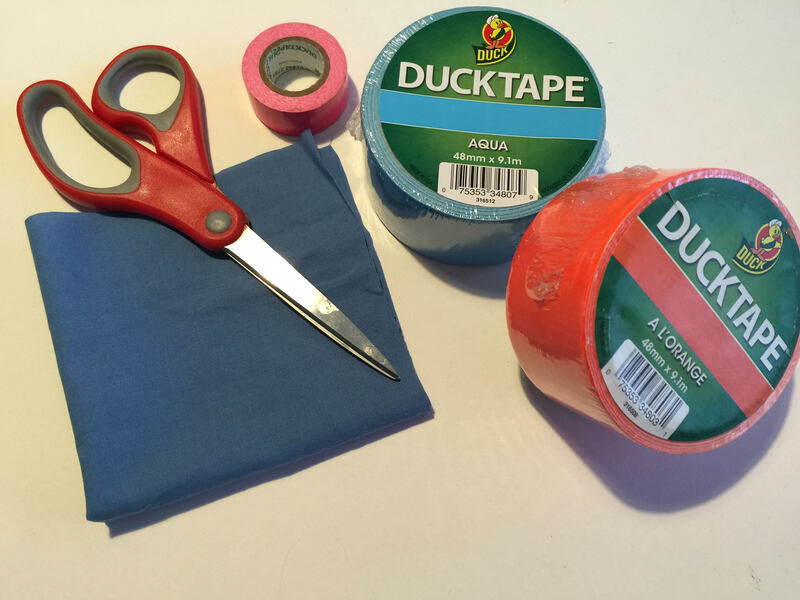 I followed the instructions on how to make a Duck Tape pencil case on the Hobbycraft blog. They have visual and written instructions which makes the tutorial really easy to follow. 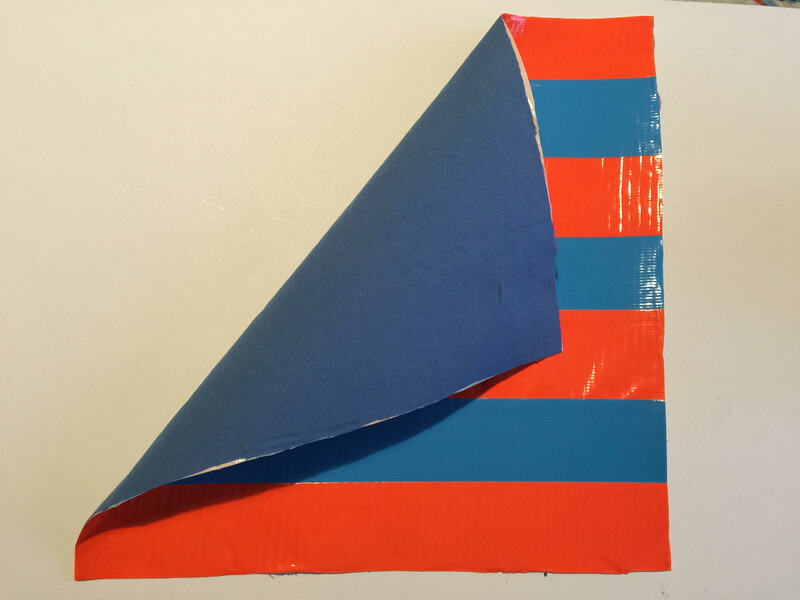 This is a really simple craft activity so it’s easy to make it adapt to your own needs. Cover one side of your fabric with Duck Tape. 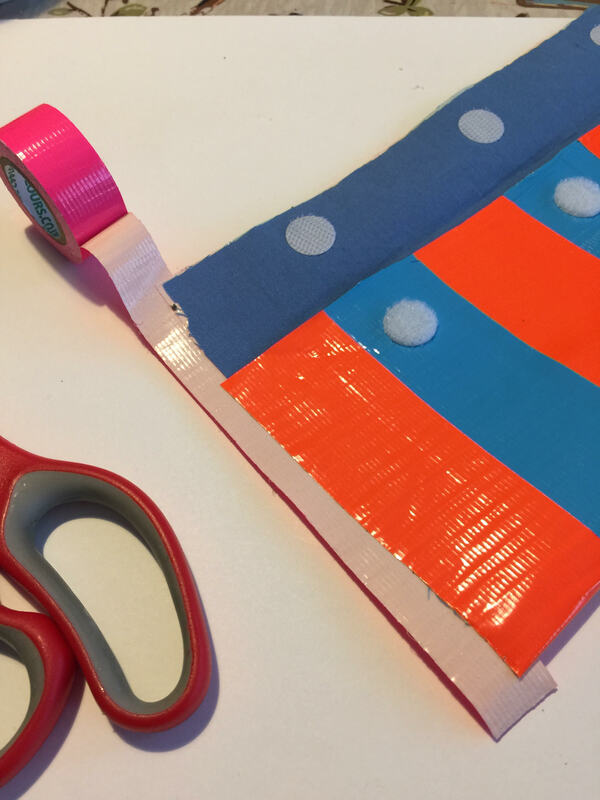 I used two colours to make stripes but you could use one colour or lots, there are some lovely patterned rolls of Duck Tape too. 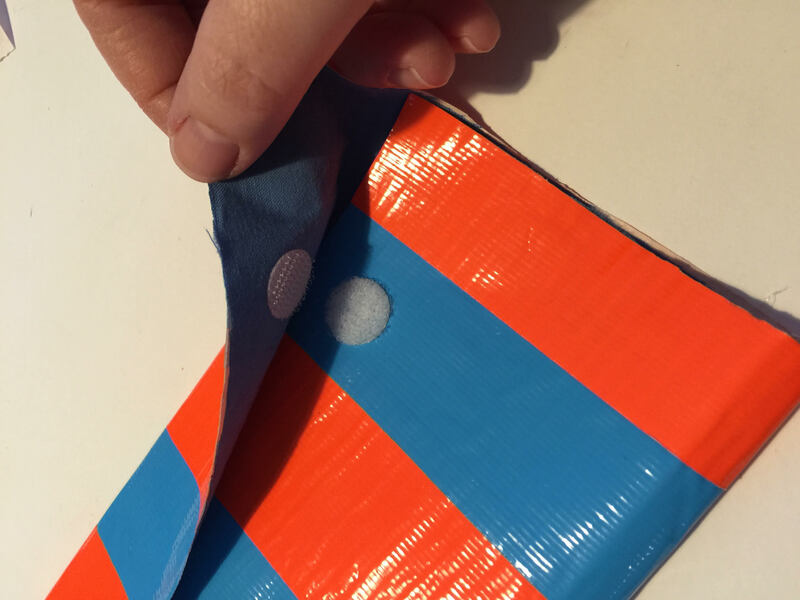 Fold your Duck Tape fabric to make the envelope. Fold the bottom edge to the middle, then the top edge down. Secure with velcro stick on tabs. To finish off my Duck Tape sewing case I taped the edges together with Duckling Tape. I then covered the raw edges with more Duckling Tape. Voila. 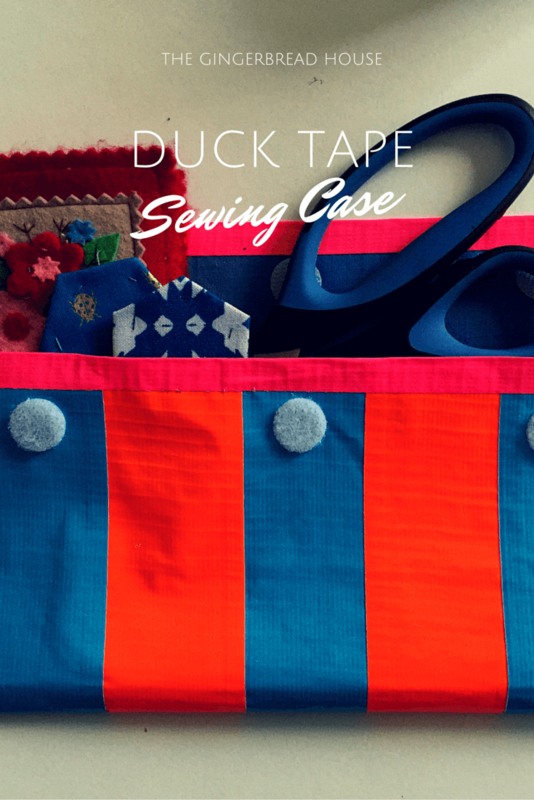 My 15 minute Duck Tape sewing case! I love it and I know my children will want their own versions. I can see myself making more of these when they get home from school today. Its a good job I have a stash of Duck Tape. Thanks to Hobbycraft for sending me some of the supplies and don’t forget to check out the Hobbycraft blog for more great tutorials. That looks lovely and really useful. I never make anything myself, but love to receive anything handmade as a gift.